Karachi: Pakistan's chief selector Inzamam-ul-Haq has offered a lifeline to off-spinner Saeed Ajmal, insisting that the national selectors had not discarded him from future plans. Ajmal has called on the national selectors to reward him for his good performances in domestic cricket by giving him a chance to play for the country again. 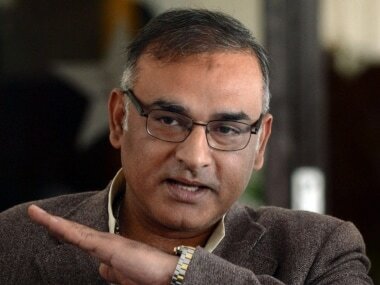 "Saeed has been a great bowler for Pakistan and it is a fact he performed well in the national T20 championship. We are watching his performances in domestic first class matches. If he continues his form he will be considered for selection," Inzamam said. Ajmal was once Pakistan's leading wicket-taker in all three formats before the ICC banned him from bowling due to an illegal bowling action in 2014. But he returned to competitive cricket with a modified action. However, the national selectors have ignored Ajmal since he last appeared in a couple of limited over games in Bangladesh in April 2015. "It is never easy for a bowler to comeback with a modified bowling action and do well. Saeed has shown lot of resilience and he can be rewarded," Inzamam said. "No matter what anyone says. No matter what anyone thinks. I have confidence in my abilities and I know I deserve another shot at international cricket," Ajmal said. 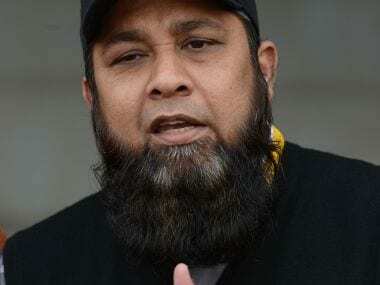 Inzamam, however, made it clear that while the selectors were watching Ajmal and other players performances, the selection would be done according to the national team requirements. "If Saeed is required at anytime for the Pakistan team he will be selected. There is no question of ruling him out. But we are now following a policy of picking players according to team requirements," he said. Inzamam admitted that Pakistan was facing a drought of quality off-spinners with no action problems. "Since Saeed and Hafeez encountered problems we have not had any off-spinner worthy of a second look. I have asked our selector Tauseef Ahmed to hold a camp for promising off-break bowlers soon and see what can be done," he said. Inzamam said that finding a quality off-spinner was as important for Pakistan as having leg-spinner Yasir Shah and other good left-arm spinners on the circuit. The chief selector also said that Azhar Ali would continue to open the innings for Pakistan in Tests and One-day Internationals. "We are no longer considering him as a middle order batsman. He can bat equally well as an opener and at number three. So we are now considering him as our regular opener. But we will be taking a reserve opener as well to New Zealand and Australia," he said.